Hold onto your hats, Cowboys fans: next weekend's divisional game will be the most expensive Cowboys game of the last eight years. Since moving into AT&T Stadium in 2009, the Cowboys have played some big games, including one playoff game. None, however, have been bigger than the game next week, which will be the first playoff game they've played in 'Jerry-Dome' as Super Bowl Favorites. It will also be the first career playoff game for the dynamic duo of Dak Prescott and Ezekiel Elliott. The excitement in Dallas is at a fever pitch, and fans hoping to get ticket anywhere close to face price waited in line for hours for the chance last week, only to be turned away without a ticket in hand. Those fans now have to resort to the secondary market to get into the game, however. 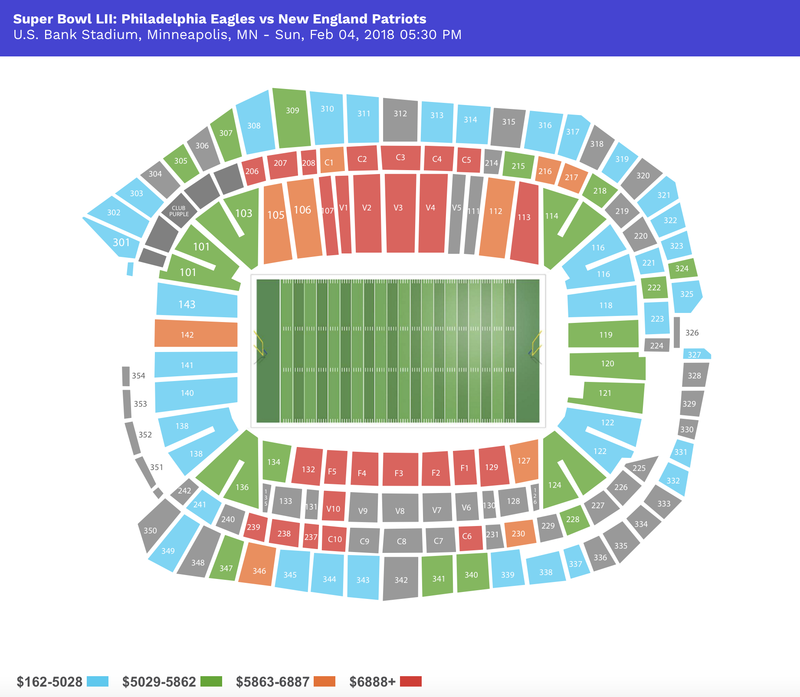 On TicketIQ, Cowboys playoff tickets are averaging a whopping $727. If looking just to get past the gates the cheapest tickets are now listed from $117 each. While there are standing room only tickets available for under $150, but likely not for long. Despite those cheaper options, the average asking price for this is the highest we've recorded in seven years of tracking the Cowboys market.